Phantom Stock has become a highly popular incentive plan among owners and CEOs of private companies who want to attract, reward and retain premier talent. This unique rewards strategy ties value sharing to enterprise growth without diluting shareholder equity. It allows you to simulate the effect of sharing equity without giving away actual stock. 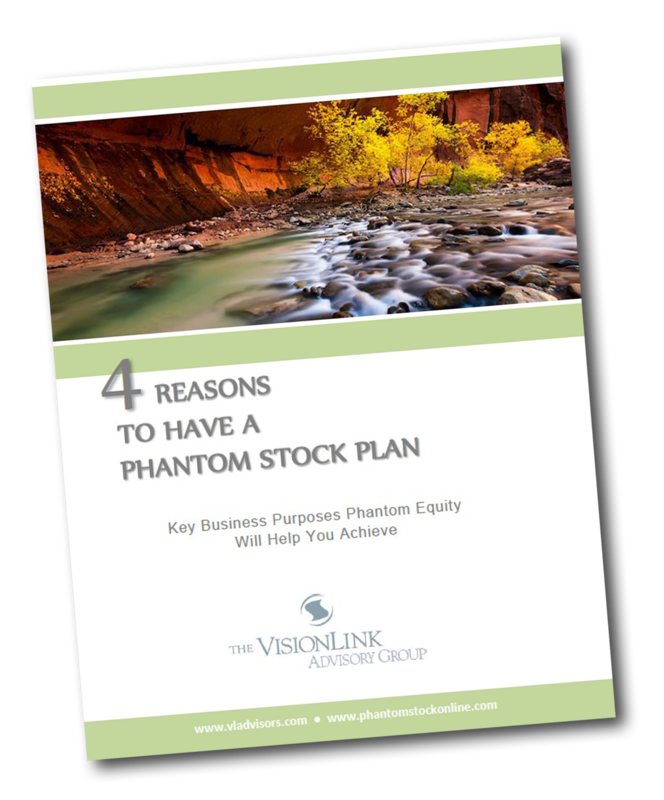 There are four key business objectives a phantom stock plan can help your company achieve. Learn what they are by downloading VisionLink’s free report today! Ready to Speak with a Phantom Stock Expert Now? Call 1-888-703 0080 or complete our contact form. Want to Learn More About Phantom Stock? and tools to help you determine whether or not you are a candidate for this type of plan.